Strong, durable bags can be made with these free sewing patterns.These bags take care of every day needs and keep life a little simpler! Make them for yourself or as gifts that will be appreciated everyday. This bag allows the sand to "sift" out of your beach stuff before you empty the bag and have sand all over the house. All though I've never tried it, I would imagine this would be a great tote bag for the airport because everything is visable and nothing can hide! This free pattern creates a very strong durable bag that sews up a traditional re-usable grocery bag. This bag is a great way to keep the bags upright because of its squared bottom and straight sides. Make a slew of them to always have them on hand and prevent all that plastic from entering the landfills! When someone needs to use a walker, carrying a pocketbook or purse is just about impossible... if nothing else carrying a bag is going to distract from walking and could cause a tumble. This walker tote solves these problems and has enough pockets to keep things safe and secure. 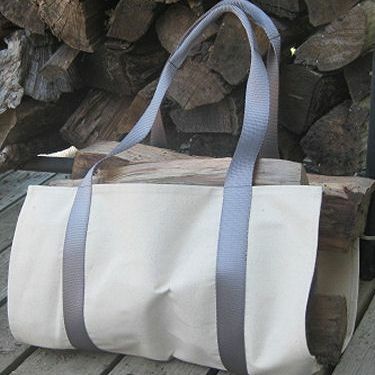 This duffel bag is great for a overnight or a weekend trip or for trips to the gym. Because you are the one making the bag, you can add personalization or pockets to meet your needs. This index of free tote bags is bound to have a bag to meet your needs, be it a strong durable book bag or a simple tote bag to have handy at a moments notice, there will be a free tote bag pattern to make the perfect bag! This little tote bag can be anything you want it to be. Choose fabrics to make it a lunch sack, or a pocketbook, or a handy small bag to carry small items... the choice is yours! I love it when one bag meets all of my needs. This bag can do just that for a trip to the gym or for a quick overnight trip. The inside holds a pair of shoes securely and the bag is big enough to hold what I need. Add embroidery and personalize your bag to make a truly personalized bag. No one wants their dirty laundry mixed in with their clean clothes while you are traveling. Solve the problem with a simple to make laundry bag by converting a pillowcase to have a drawstring closure. It's a great project to use up the children's novelty pillowcases. Fabric Can Be Kitchen Dishes!